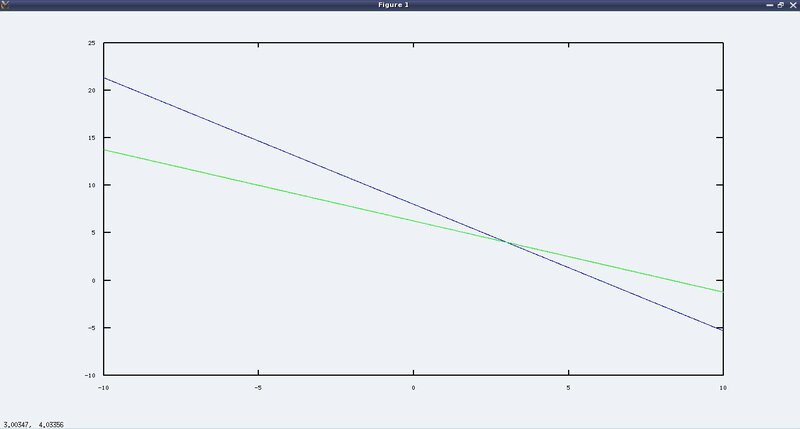 This tenth article of the mathematical journey through open source, explains advanced polynomial mathematics in octave. Given a set of data points a common requirement in fields of physics, statistics, and many others is to fit a polynomial to it. Going further, we’ll explore the power of octave for the same. This entry was posted in Mathematics and tagged Calculus, Differentiation, Integration, LFY, Linux, Maths, Octave, OSFY, Polynomial Arithmetic, Polynomial Equations, Polynomials, Puzzles, Roots on November 1, 2013 by Anil Kumar Pugalia. This ninth article of the mathematical journey through open source, deals with polynomial mathematics in octave. Let’s first solve the earlier puzzles. And then we shall discuss the polynomial power of octave. So, the 3 numbers are 5, 3, 4. A sage came to a temple with some flowers and dipped them into the first pond of the temple to get them squared. Then, he offered some flowers in the temple and dipped the remaining flowers into the second pond to get them doubled. Then, he again offered same number of flowers, as earlier, and dipped the remaining flowers into the third pond to get them tripled and take back with him as prasadam, which was the same number as in each one of his offerings. Now, if he took back thrice the number of flowers he brought. How many did he bring in with him? So, the number of flowers the sage came with is 5 and his each offering is of 15 flowers. Note that in all these solutions the trick is to choose the initial solution close to the original solution, through some approximation work. At times that might be tricky. So, in case we just have polynomial equations and that also in one variable, it can be solved in an easier way, using the polynomial features of octave. In contrast to the earlier method, here we also get all of the multiple solutions for the polynomial. This shows that the value of the polynomial P evaluated at each of the 3 solutions is 0. Hence, confirming that they indeed are the solutions. All set with polynomial basics in octave, let’s solve some puzzles. Last time we found an intersection point of a straight line and a circle. Yes, we just calculated one point – though typically there would be two. It would be one only in case of the straight line being tangent or just touching the circle. And yes it would be zero, if the straight line is not even intersecting it. So now, let’s try these different cases, with the one variable polynomial power. Now, we get the roots of each to get the x co-ordinate of the intersection point. And the corresponding y co-ordinate could be obtained by substituting the value of x into the corresponding line equations. For L1, there are 2 different roots 4.68 and 3, implying two intersecting points (4.68, 1.76) and (3, 4). For L2, there are 2 identical roots of 3.5355 i.e 5/√2, implying just one intersecting point (5/√2, 5/√2). For L3, the roots are complex, implying that there is no intersecting point in the real world. And finally, here’s one for your brain. Find out the two square roots and the three cube roots of the imaginary number i. If you think, you have got the octave code for solving the above, post your solution in the comments below. And as we move on, we would have more fun with the polynomials. This entry was posted in Mathematics and tagged Geometry, LFY, Linux, Maths, Octave, OSFY, Polynomial Equations, Polynomials, Puzzles, Roots on October 1, 2013 by Anil Kumar Pugalia. This eighth article of the mathematical journey through open source, solves non-linear equations using linear algebra in octave. This indicates the value of x as -0.99999 ≈ -1 as the solution to the function f(x), yielding a function value of 0, with info = 1 indicating that solution is obtained. And you may verify the answer by calling the function f with the variable x as f(x) on the octave prompt. The second parameter in fsolve() is the initial guess of the solution. So, (3, 4) is the intersecting point – can be verified by substituting back into the above equations. Find three numbers, product of which is 60; sum of their squares is 50; and their sum is 12. A sage came to a temple with some flowers and dipped all of them into the first magical pond of the temple and got those back, squared. Then, he offered some of those flowers in the temple and dipped the remaining flowers into the second magical pond to get those back, doubled. Then, he again offered the same number of flowers, as offered earlier, and dipped the remaining flowers into the third magical pond to get those back, tripled, which he took back with him as prasadam. Now, the number of flowers he took back with him, is same as in each one of his offerings. Also, what he took back with him is thrice the number of flowers he came with to the temple. How many flowers did he come in with? If you think, you have got the octave code for solving the above, you may post the solution in the comments below. And as we move on, we would get into specifically playing with polynomials. This entry was posted in Mathematics and tagged Geometry, LFY, Linear Algebra, Maths, Matrices, Non-Linear Equations, Octave, OSFY, Puzzles on September 1, 2013 by Anil Kumar Pugalia. This seventh article of the mathematical journey through open source, solves puzzles using linear algebra in octave. Matrix Maths is what is formally called Linear Algebra. We have gone through its basics in the fifth article. Now, we shall apply that to practical usage. What better than solving puzzles using the same. Shrishti purchased 24 pencils and 12 erasers for ₹96. Divya purchased 20 pencils and 15 erasers for ₹100. What are the prices of the pencil & the eraser? Hence, p = ₹2 and e = ₹4, i.e. each pencil costs ₹2 and an eraser costs ₹4. You may check by putting back these values in our problem statement. Isn’t that cool? Figure 5 shows the plot generated by the above code. Equipped with the puzzle solving basics, here’s one for your brain: A vegetable seller has placed various equal priced stacks for sale at ₹30. One stack has 4 lemons, 7 cucumbers, 9 tomatoes. Another has 2 lemons, 5 cucumbers, 27 tomatoes. And the third has just 9 cucumbers & 15 tomatoes. Can you compute the price of each vegetable? Hint: Assume the price of lemon, cucumber, tomato as ‘l’, ‘c’, ‘t’, and then form the 3 equations in three variables. If you think, you have got it, you may post the solution in the comments. And as we move on, we will get into some different kind of puzzle solving. This entry was posted in Mathematics and tagged Geometry, LFY, Maths, Matrices, Octave, OSFY, Puzzles on August 1, 2013 by Anil Kumar Pugalia.